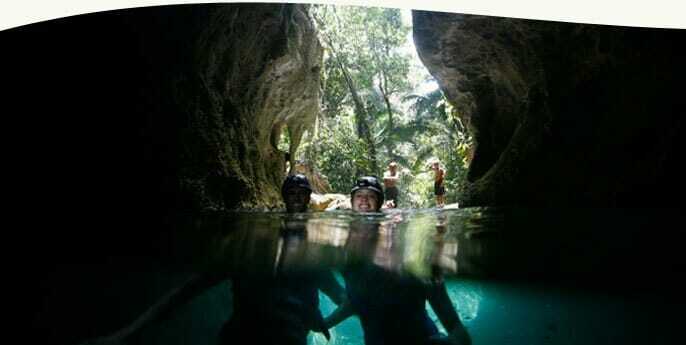 Our active Belize adventure package is designed for those looking for some serious Belize adventure. 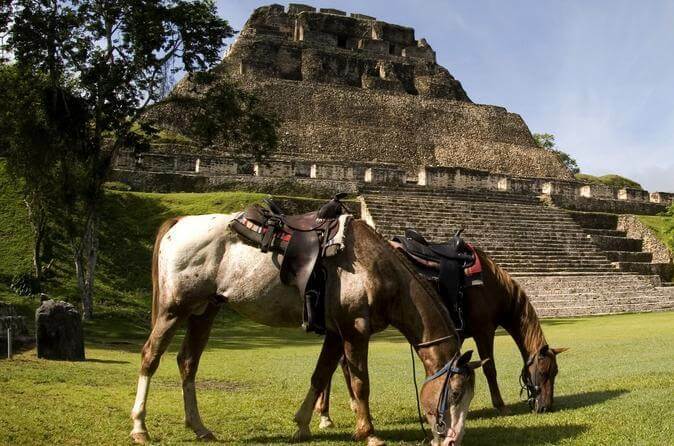 Maya Mountain tours offers a full array of Belize adventure tour options from Horseback Riding to Canoeing to Caving and ziplining. For adventure, Cayo Belize is your kind of place. We recommend moderate fitness for these tours. The packages are inclusive from porter to transfers. They include tours, meals, guides, transportation, entries, lodging, tax, and service charge. We will meet and transfer you to the lodge on the first day. Tours are run on non-transfer days. You choose any of our tours (soft or active adventure). Looking for a little less excitement? A visit to Barton Creek Cave involves spending over an hour paddling canoes along an ancient Mayan waterway inside the mountain. 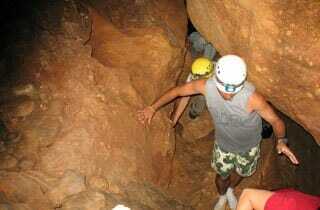 Your guide will point out skulls and artifacts as you pass between stalactites. This is one of the largest caves in the world. The high ceiling and beautiful rock flows and cathedral chambers make this a beautiful place to photograph. 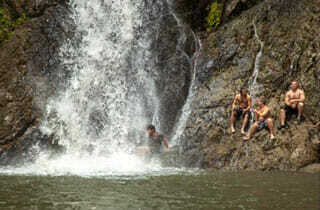 We then head into the mountains for an afternoon of swimming in mountain pools and enjoying waterfalls. A very early departure takes you to one of the most famous Maya sites. This World Heritage Site in one of the best known natural history destinations in the world. An early morning departure from the Lodge will take you on a one hour scenic drive to a remote private nature reserve located in an area that, until recently, was inaccessible to visitors. 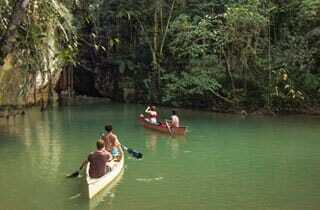 Here you will hike through pristine jungle trails to the river banks where your boat awaits. Once aboard you will embark on a relaxed journey, navigating upstream on the Macal River where you will explore breath-taking waterfalls and natural swimming holes. Throughout your journey you will have the opportunity to hike in beautiful jungle trails, learn about the vast flora and fauna, swim and be inspired by these beautiful surroundings. Wildlife abounds here and an occasional encounter with rare wildlife such as the Keel Billed Toucan, Monkeys and even Tapirs can be anticipated. Along the tour you will encounter and explore three majestic wall falls, enjoying swimming in Belize’s most beautiful natural swimming pool. After a fun day of swimming, hiking and exploring you will conclude your day’s adventure with another 40 minute hike where you will meet your driver who will transport you back to the hotel. A 2/3 day of guided horseback riding to Xunantunich includes a guided tour followed by a typical lunch in the village of San Jose Sucutz. Explore the local foods. 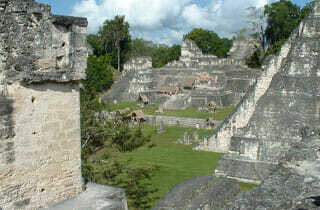 Visit a Mayan temple ( either Cahal Pech and Xunantunich or Caracol ). Learn more about this amazing culture. 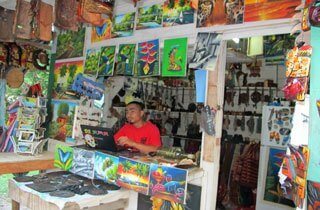 Visit the farmer's market as you explore the town of San Ignacio on your own. Enjoy the people and commerce of the area. Take time to sample tamales and visit the local ice-cream parlor. Adventure Package Includes: Transfers, meals, guides, transportation, tour, entries, gear, lodging, tax, and service charges. First meal is dinner on the day of arrival, all meals daily there after except on the day of departure when you get breakfast. Some meals may be provided in town at our favorite select dining spots. Not include: Guide tipping. All packages end with breakfast on the last day. Itineraries are subject to change due to weather, road or other conditions beyond our control. Prices are in US dollars and are per person based on double occupancy. Does not include $21.50 exit fees from Belize when going to Tikal or guide tips. Start your Belize Adventure today!